Buying a new furnace is a major investment — both in terms of home comfort and your pocketbook. So it’s natural to wonder if there’s a perfect time to make the investment. There are several factors that go into answering that question. Here are the most important factors to consider. Modern furnaces typically last up to 20 years. Yet, some experts recommend thinking about replacement around the 10-year mark. There are several reasons for this. First, the technology can improve significantly in 10 years, and replacement may be worth it just in terms of improved efficiency — even if your current unit seems to be running well. Second, some homeowners are simply more comfortable knowing they have a new system with a new warranty that guarantees another 10 years of maintenance-free use. Finally, if you start looking for a replacement early, you give yourself plenty of time to research your options, comparison shop, save up for your investment, and wait for a great sale to come along. Planning ahead can really save you some serious cash! No one wants to come home to a freezing cold house in the middle of winter and realize their aged furnace finally gave out. When that happens, you’re left making hasty decisions on the new unit, its features, and who will install it. You simply won’t have the time to shop around or wait for your ideal model to be in stock. And, in an emergency situation, you definitely won’t get the best installation price — especially if you need installation on a football Sunday or New Year’s Day! 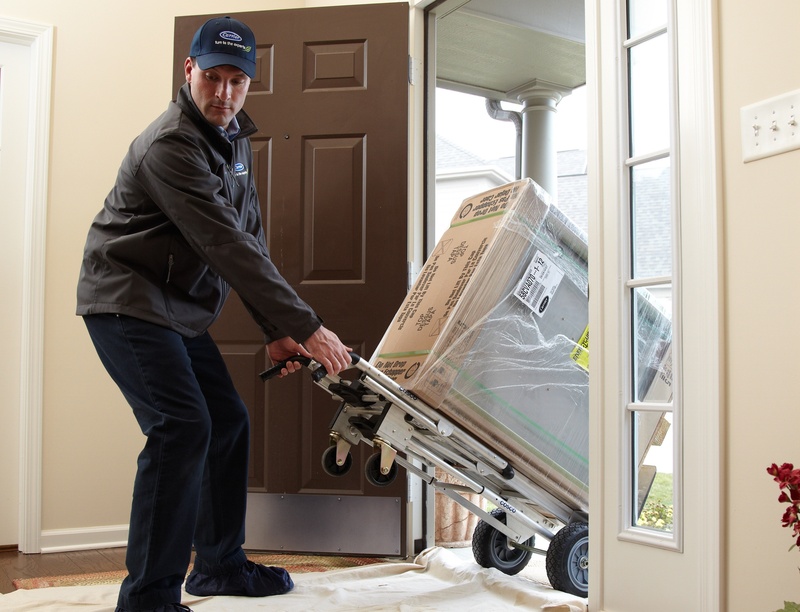 You may be able to find especially good bargains on a new furnace in the spring, when manufacturers offer deals on close-out models. “Sometimes, there are last year’s models that have been carried over the winter and bargains may be available,” Keith says. Whatever time of year you start shopping or decide to buy, be sure to work with a trusted HVAC pro. They can guide you through the process of choosing the best solutions for your needs. Need a recommendation? Just use our convenient dealer locator to find a reliable HVAC pro near you.